Last season, the Spartans ended the season with two consecutive 9-0 sweeps. The Case Western Reserve University men’s tennis team picked up exactly where they left off with their first competition in the fall at the Kenyon Invitational. In singles play, Spartan teammates combined to win 32 of their 42 matches, greater than a 75 percent clip. Nine Spartans finished in the top two of their flights, with only two flights not featuring a member of the CWRU team in the final. The team was just as good in doubles play, winning one flight and finishing third in two more. Two Spartans pairs were also supposed to meet in the final of another doubles flight, but did not face each other. 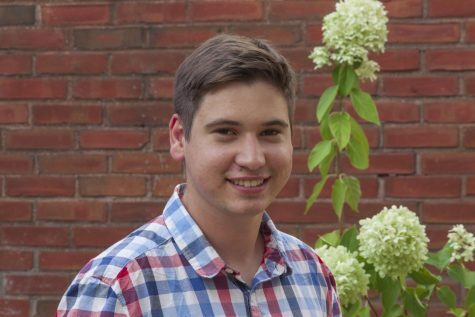 Leading CWRU was first-year student Matthew Chen. Making his collegiate debut, Chen won all six of the matches he played in. He won all three of his singles matches, going on to win the second doubles flight, and was paired with second-year student Sam Concannon to win the second doubles flight with three straight wins. For his stellar play in Kenyon, Chen earned University Athletic Association Athlete of the Week honors for men’s tennis. Chen was surprised when he found out he won the honor. Second-year student Zach Hennessey also pulled off a perfect 6-0 record at the invitational. He won the fifth singles flight with three consecutive wins and none reaching a third set. Hennessey won his first two matches by dropping just three total games and won the first set of the final by five games. Though he needed a tiebreaker to secure the flight victory, it came in just the second set. In doubles play, Hennessey was paired with third-year student Oludayo Areke. The duo won all three matches in the third doubles flight, but won each by the minimum of two games. The first and third matches each finished 8-6, while the second match needed a tiebreaker for Hennessey and Areke to come out on top. 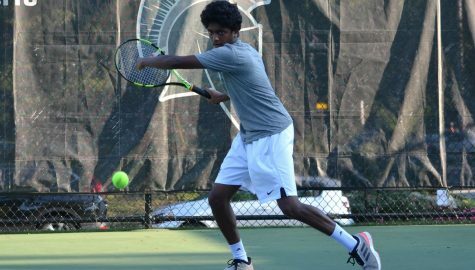 Adding to the Spartans flight victories were second-year student Anthony Kanam (fourth singles) and first-year students Vivi Vemula (ninth singles) and Will Grier (11th singles). 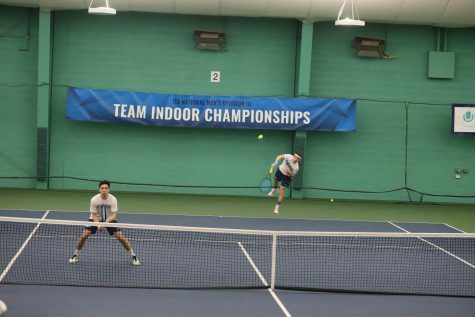 Both the duo of Vemula and fellow first-year student Austin Lawrence and first-year students Earl Hsieh and Aris Jhaveri advanced to the finals of the fifth doubles flight, but the two doubles pairings did not face each other to determine a flight winner. He added, “All of us are getting better and are prepared to step up when it matters.